World-renowned Urban fashion brand Bench has teamed up with Canada’s incredible Igloofest to offer aspiring DJs everywhere a money-can’t-buy prize. Set in the sub-zero centre of Old Montreal, some of the biggest stars in underground electronic music will hit Canada's dance music capital for Igloofest 2012, one of the most exciting and unique music events in the world. 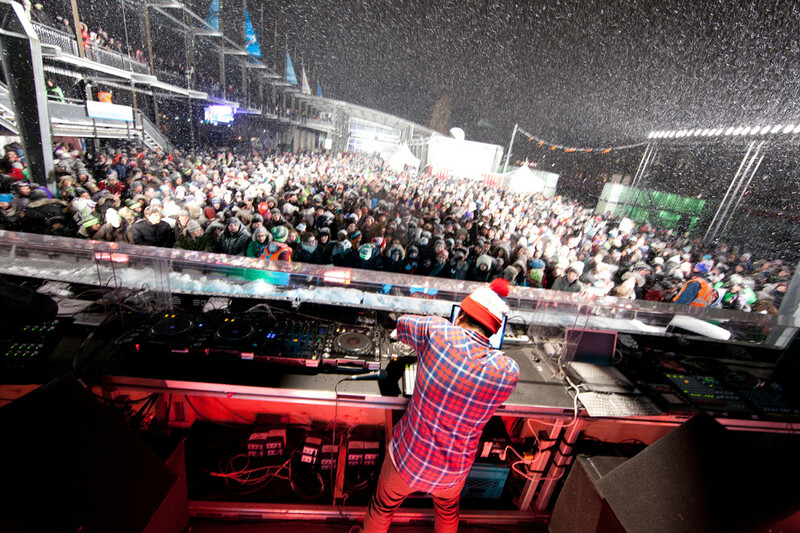 This year around 67,000 party people will turn out in their best winter get-ups to witness the likes of Sébastien Léger, Green Velvet, Tiga and Tiefschwarz perform during the last three weekends of January 2012. To be in with a chance of winning this fantastic prize all that’s required is submission of a 30 minute mix to Mixcloud– covering anything from house, techno, dubstep or hip hop, mixes will be judged on factors including: strong tune selection, originality and technical ability. One lucky winner and a friend will win VIP tickets to the festival, return flights and accommodation in Montreal and £250 worth of Bench’s finest winter gear to keep you warm at the festival. Both competitions close on Thursday 15 December 2011.